Professor Hannu Toivonen is a leading expert in data mining and computational creativity. He has introduced and solved several novel research problems in the area of data mining since the field was born in early 1990s; his definitions and algorithms have become standard references and textbook material in the field. He has since developed applications of data mining for gene mapping, context-aware computation, document analysis and summarization, computational creativity, and natural language generation. Hannu Toivonen obtained his PhD in Computer Science in 1996 and has been Professor at the University of Helsinki since 2002. 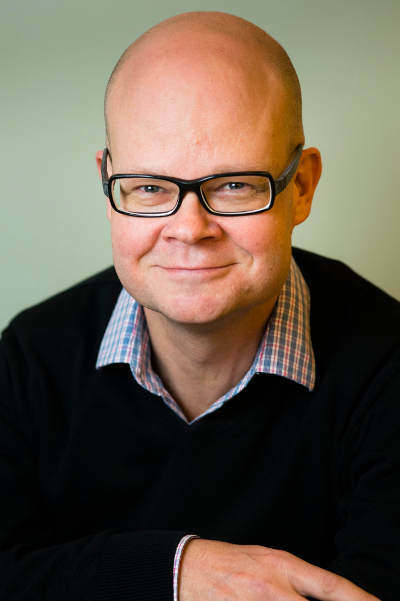 Hannu Toivonen is Vice Dean of the Faculty of Science at the University of Helsinki since 2018. He was Head of the Department of Computer Science during 2007-9 (170 FTE staff, over 10 MEUR annual budget), director of the Helsinki Doctoral Programme in Computer Science during 2007-11 (80 PhD students) and founding director of the Data Science MSc programme during 2016-2018. He has secured external funding for over 6 MEUR, including three recently completed EU projects and two on-going ones, as well as numerous domestic projects. Prof. Toivonen also has six years of industrial experience from Nokia Research Centre. He holds ten patents. Hannu Toivonen has close to 200 international refereed publications. According to Google Scholar, he has been cited over 20,000 times and he has an h-index of 51. He served as Programme Chair of IEEE ICDM 2014, a leading data mining conference, and of ICCC 2015, the International Conference on Computational Creativity. He is Associate Editor of the forthcoming Journal of Computational Creativity, as well as Editorial Board member of the leading journals and a regular Senior Programme Committee member of the leading conferences in his research areas. Martins, P., Goncalo Oliveira, H., Carlos Gonçalves, J., Cruz, A., Cardoso, A., Žnidaršič, M., Lavrač, N., Linkola, S., Toivonen, H., Hervás, R., Méndez, G. & Gervás, P., 8 Feb 2019, In : IBM Journal of Research and Development. Gross, O., Cardoso, A., Correia, J., Machado, P., Martins, P., Goncalo Oliveira, H., Sharma, R., Pinto, A. M., Diaz, A., Francisco, V., Gervás, P., Hervas, R., León, C., Forth, J., Purver, M., Wiggins, G. A., Miljkovic, D., Podpecan, V., Pollak, S., Kralj, J. & 6 othersZnidarsic, M., Bohanec, M., Lavrač, N., Urbancic, T., Van Der Velde, F. & Battersby, S., Feb 2019, In : ACM Computing Surveys. 52, 1, 33 p., 9. Hadaytullah, H., Linkola, S., Hantula, O., Männistö, T. & Toivonen, H.